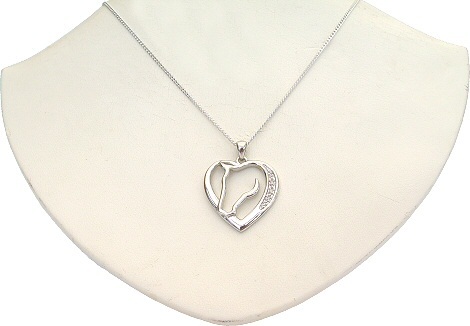 A Sterling Silver heart with an integral horse's head in the centre. There are 4 small diamonds inset into the heart and the whole piece is Rhodium plated to protect the silver from tarnishing and scratching. 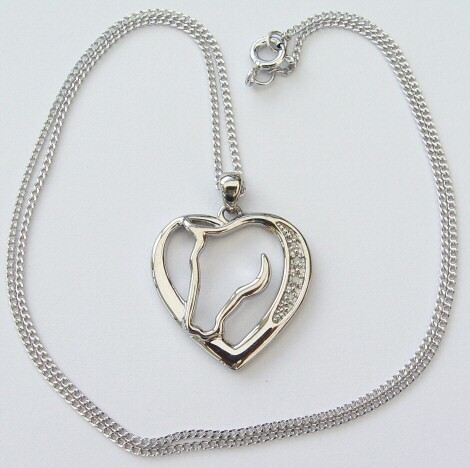 The heart pendant is 25mm high including the bale and the chain is an 18" Sterling Silver curb chain. 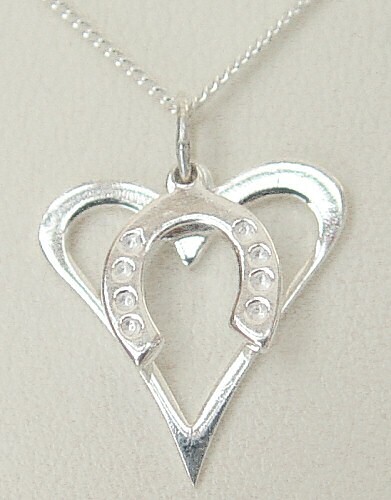 Hoofprints In My Heart Necklace: Contemporary cutout Heart and separate Horseshoe dangle strung together to form this unique horse necklace. All made from 925 Sterling Silver. 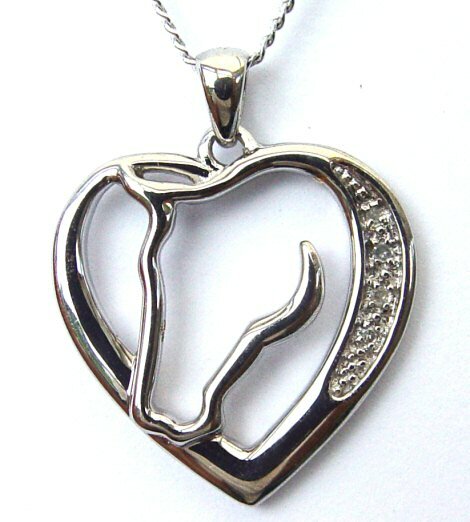 Short Description:- Horses In My Heart Necklace: A Sterling Silver heart with an integral horse's head featuring 4 diamonds.